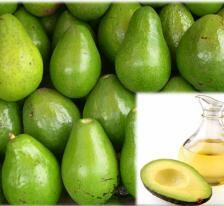 Avocado oil is an edible oil pressed from the fruit of the Persea americana ( avocado ). 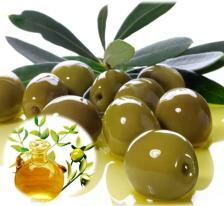 As a food oil, it is used as an ingredient in other dishes, and as a cooking oil. It is also used for lubrication and in cosmetics, where it is valued for its supposed regenerative and moisturizing properties. 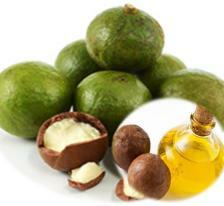 Avocado oil is pressed from the fruit pulp rather than the seeds. With a ratio of certain fats, extra virgin avocado oil has a high smoke point of 400 °F ( 204 °C ). This makes it extremely easy to adapt in the kitchen for cooking stir-fries, cakes, and salads. 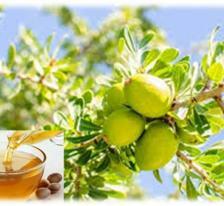 Jojoba oil is actually a mixture of long-chain monounsaturated wax ester. 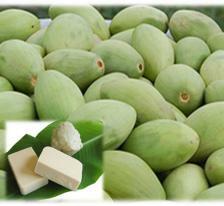 Structurally are different from the triglycerides, are largely made ​​from oil seeds. Technically, it is not really oil after all. Jojoba oil is extracted from the seeds of the jojoba plant, scientifically known as Simmondsia chinensis, which is native to the southern United States and northern Mexico. 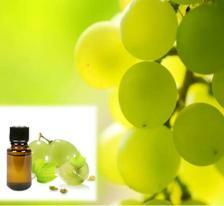 Pure version of jojoba oil has a bright, golden color while the processed version is clear and transparent. It has a high shelf life and can be stored for a long time because the liquid is relatively stable. It does not oxidize easily and will not become rancid compared to other oils because it does not contain triglycerides, unlike most other vegetable oils like grape seed oil and coconut oil. Lavender oil is an essential oil obtained by distillation from the flower spikes of certain species of lavender. 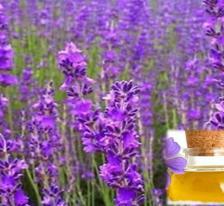 Lavender oil is an essential oil distillation from the flower spikes of certain species of lavender. Lavender ( Lavandula angustifolia ) has a fresh aroma and a quiet blend of lavender. This aroma dynamic that has made ​​classic flowers for perfume, soap, fresheners, and beauty products. As one of our most popular products, lavender oil is the oil guard beginners and a must for every home. The essential oil of lavender is not only the favorite for the classic aroma aroma and also very versatile. 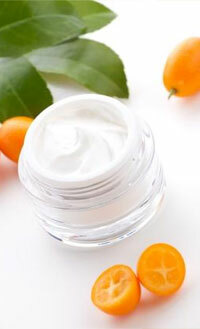 In skin care products for a relaxing routine, this oil can infuse fresh life sensation. 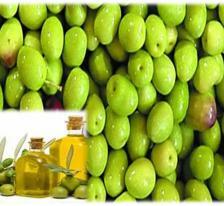 Olive pomace oil is olive oil extracted from olive pulp after the first press. After the mechanical oil extraction olive oil is finished, approximately 5-8% of the oil remains in the pulp, which then need to be extracted with the aid of solvents, industrial techniques used in the production of the majority of vegetable oils including canola, peanut, sunflower, etc. Although the oil extracted in this way is still olive oil, in retail it is not possible simply called "olive oil". Because this is The International Olive Council defines olive oil as "oil obtained solely from the fruit of the olive tree, to the exclusion of oils obtained using solvents or reprocess esterification". 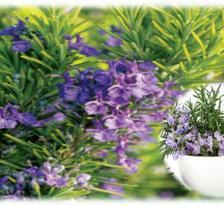 Rosemary oil is an essential oil extracted from the Rosemary herb. Since rosemary has been a staple herb in most gardens, its essential oil is also very popular. Rosemary essential oil is clear, highly fragrant oil which smells much like the herb. Rosemary oil is widely used in many home and medicinal applications. One can find it everywhere, in candles, aromatherapy massage oils, scented candles, soaps, shampoos and many natural medicines. Its aroma is very pervading in the environment and deeply interacts with a person's mood and can change it too. Tea Tree Oil is a natural antiseptic in Australia which is distilled from the leaves of Melaleuca alternifolia specially selected, a plant native to the northern coastal areas of New South Wales and south east Queensland, Australia. 100 % pure, 100 % natural oil is a strong antiseptic that inhibits a broad spectrum of bacteria and fungi and cleanse and protect the skin blisters. 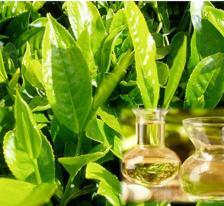 Tea Tree Oil tolerated by healthy skin tissue, and does not inhibit the growth of normal cells. 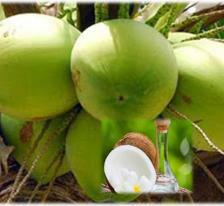 Virgin coconut oil has an excellent flavor and odor because it comes from a fresh coconut. Virgin coconut oil is very effective as a moisturizing agent. This oil has antioxidant properties that are much better than normal coconut oil.